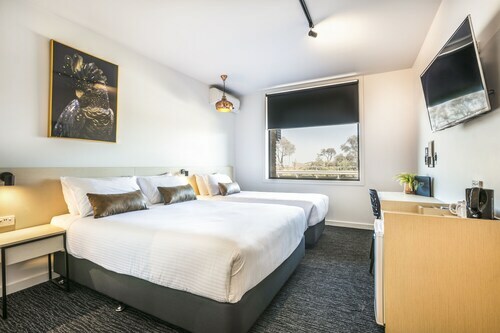 Situated in the business district, this aparthotel is 0.3 mi (0.5 km) from Frankston Arts Centre and within 9 mi (15 km) of Mornington Park and Barmah Park Wines. Moonlit Sanctuary Wildlife Conservation Park and Cranbourne Racecourse are also within 12 mi (20 km). Frankston Station is 7 minutes by foot and Melbourne Leawarra Station is 30 minutes. Situated by the ocean, this motel is 0.3 mi (0.5 km) from Frankston Arts Centre and within 3 mi (5 km) of Foreshore Reserve and Seaford Pier. Mornington Racecourse and Manyung Gallery are also within 9 mi (15 km). Frankston Station is 12 minutes by foot. 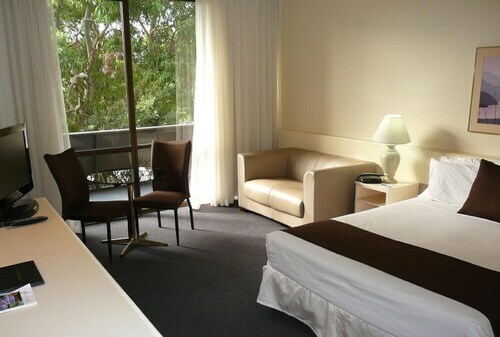 Situated in Frankston, this hotel is within a 15-minute walk of Foreshore Reserve and Frankston Arts Centre. Seaford Pier is 2.4 mi (3.9 km) away. Frankston Station is 11 minutes by foot and Kananook Station is 30 minutes. Situated near the beach, this apartment building is 0.7 mi (1.1 km) from Frankston Arts Centre and within 12 mi (20 km) of Mornington Park and Cranbourne Racecourse. Frankston Station is 13 minutes by foot and Kananook Station is 29 minutes. 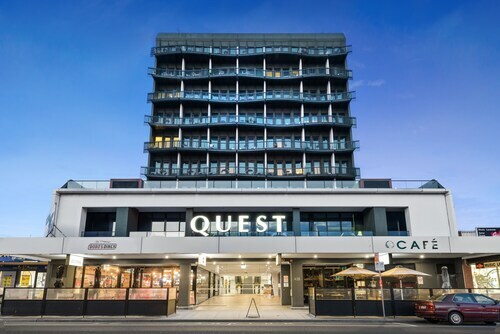 Take a break and stay in one of our Frankston hotels on the outskirts of South-East Melbourne. Not only is Frankston just 45 minutes from the Melbourne CBD, it's also the gateway to the Mornington Peninsula, so you'll be able to enjoy a beach holiday, surrounded by natural parklands. Frankston is quite famous for its quaint old homesteads, so if you'd like to learn about the town's heritage, be sure to visit Ballam Park Homestead. One of Frankston's claims to fame is that Joan Lindsay wrote her best-seller, "Picnic at Hanging Rock" here. In fact, she and her husband Sir Daryl Lindsay lived here in a colonial home called Mulberry Hill, which you can also take a look at while you're in town. Make the most of the beautiful coastal location and head straight to the Frankston Waterfront. Take a few photos of the beautiful jetty and then stroll along the boardwalk, past Landmark Bridge and up to Oliver’s Hill Lookout. If you're keen to escape the touristy spots but still want to enjoy the beach, you can make a beeline for the Seaford Foreshore, which is a bit more laidback than the Frankston Waterfront. Nature lovers will adore the wide open spaces in Beauty Park, George Pentland Botanic Gardens and the Langwarrin Flora and Fauna Reserve. For an art and culture fix, head to the McClelland Sculpture Park + Gallery and check out all 100 of the incredible outdoor sculptures. The Frankston Arts Centre and the Brialyn Boathouse Gallery are also must-visits. And if you're here between Boxing Day and April, hit the beach and check out the sand sculptures created by famous sculptors from around the globe. The beachfront restaurants along the Frankston Waterfront are always very popular but there are lots of other great places to grab a bite to eat in town. Cafes, ethnic restaurants, takeaway shops, pubs – this town has it all! There are even a few wineries in the area to tour. The easiest way to get here is to catch one of these cheap flights to Melbourne. Then grab a Myki card (Melbourne's public transportation card) and catch a bus or train to Frankston. Once you've arrived, you can get around town and the Mornington Peninsula on buses without any hassle. A relaxing seaside escape with plenty of greenery, located only a stone's throw away from Melbourne – wot more could you want? 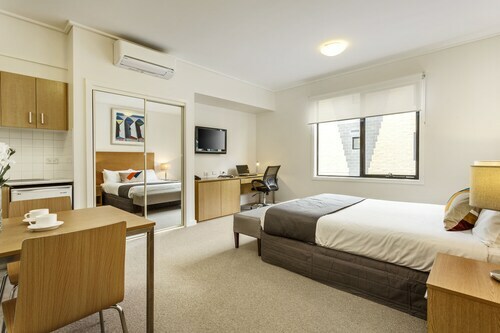 Book your Frankston accommodation with us now! How Much is a Hotel Room in Frankston? 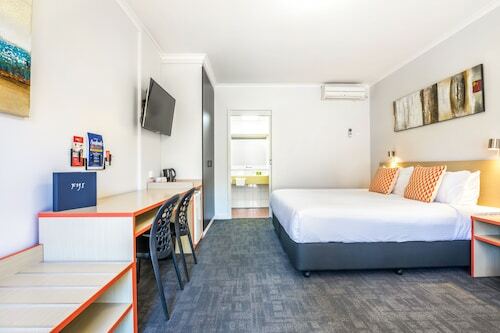 Hotels in Frankston start at AU$149 per night. Prices and availability subject to change. Additional terms may apply. 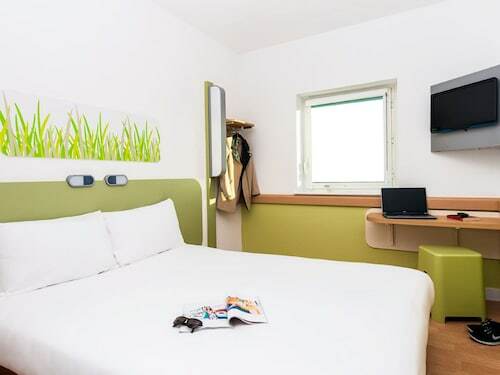 Clean, comfortable and reasonably quiet considering the location. Plenty of parking.